Whether you are currently employed or still exploring opportunities in the job market, it is inevitable for you to wonder how you can add more value to yourself as an employee to accelerate the pacing towards your #CareerGoals. Learning more skills through participation in workshops and seminars is an excellent method to amplify your value as an employee. Taking certifications for a specific field of interest will surely boost your profile’s credibility. One of the main reasons to increase your employee value is career advancement. Your manager or direct supervisor would be glad to recommend you for a promotion or a salary increase if they can see that you are exceeding what is beyond your job description or ready to take on more challenging responsibilities. A promotion in any form is the best manifestation of skills’ recognition. With a fast-paced business world, the level of difficulty to achieve job security is ever-increasing. What may be the most important thing today, may not be as important tomorrow. As employees, we worry about it especially if we love what we are doing for the company we work for. It is also important to think of our future opportunities within the company, in order to push us to improve our work output and be a valuable company asset. Recruiters bridge the gap between an applicant and the hiring manager to fill in the manpower need for a specific position. They receive numerous resumes/CVs every day and it is an advantage on your end to highlight the skills and competencies that would make you a great fit for the role. If a recruiter perceives you as an employee who has the potential to bring more to the table, you stand a high chance of getting referred for an interview with the hiring manager. When you pursue your career in a different industry, it is important for your employer to have a favorable grasp of your capabilities that are applicable to the direction they want to take and the strategies they want to utilize to improve their processes and workflows. Eagerness to learn more can take your career further, whether it is about learning new skills or getting more acquainted with the company. At the end of the day, what matters most is how you can achieve your career goals. Work success is attainable as long as you keep an open mind and a positive attitude towards your job. Our skills and knowledge need constant nourishment for us to grow and always be on top of what we do. How do you or did you amplify your employee value? What other reasons can you think of that were not mentioned in this post? 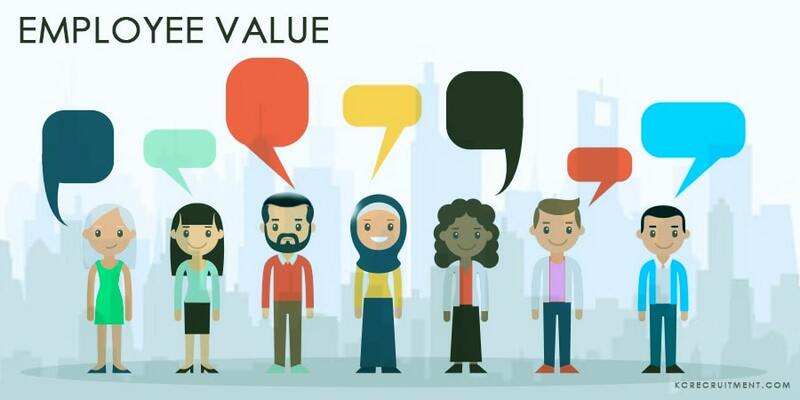 Are you convinced on the importance of amplifying your employee value? Let us know by sharing your thoughts in the comment section below. Maro Bautista is a Digital Marketing Specialist of Kittelson & Carpo Consulting, the affiliate business consulting firm of KCG. She focuses on SEO, social media marketing and events management for the brands that the team handles.